The open-air enchantment of a pergola is just the start of something extraordinary. Spending time in nature enhanced by the right lighting adds more than ambiance: it provides sanctuary, a haven for yourself or for gathering with your favorite pals. Even the simplest lighting treatment provides a magnetic glow that beckons. See how the pergola provides countless ways to use lighting to create an alluring backyard retreat. 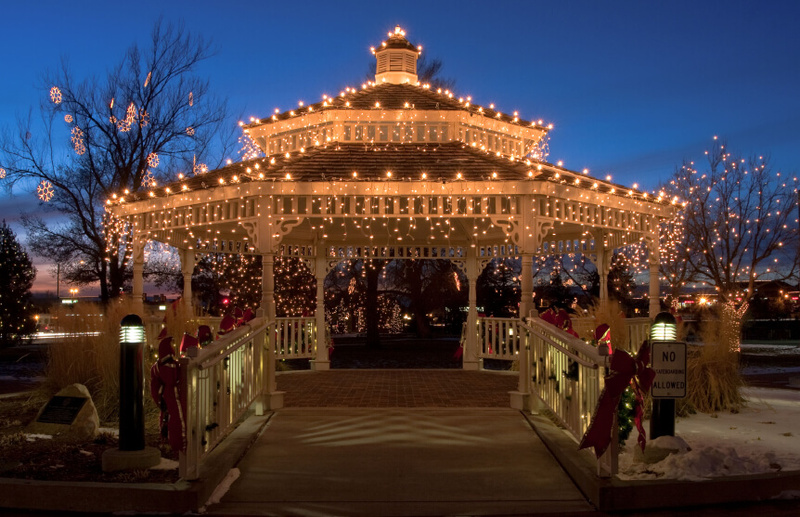 From strands of twinkle lights to more permanent fixtures of many styles, the possibilities are plentiful with pergolas. The pergola’s open quality allows the sunlight to filter through gently. It maintains the grand view of the sky while providing peaceful protection from the harsh light. At the same time, the romantic light of the moon also filters through at night. 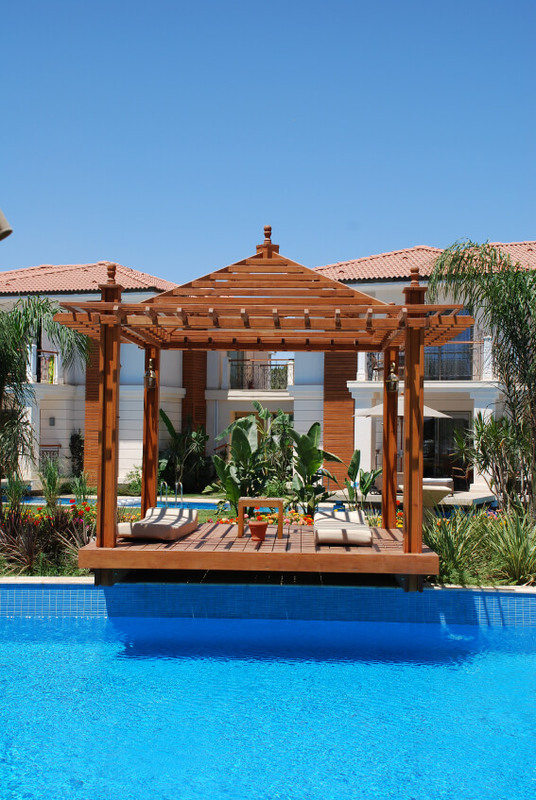 Even though it would seem the structure of the pergola is intended not to convey heavy construction, it is strong and stable enough to attach lighting fixtures, ceiling fans, music delivery systems, or even television or video screens. In consideration of the open-air aspect of the pergola, the lighting may accommodate the elements. There are lighting fixtures that are meant to operate safely in any weather. These may be electrical or fueled either by candles or other flammable fuel and wick systems that provide warm evening lighting. 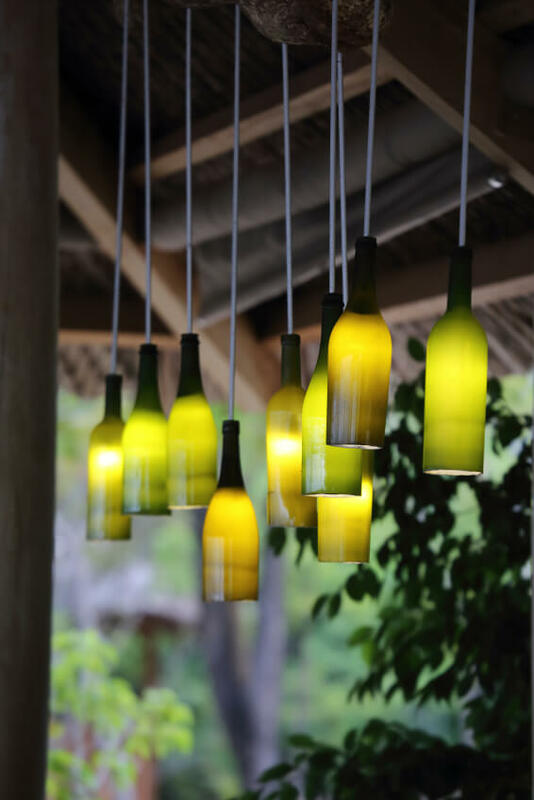 In this example, you can see how the recycling of wine bottles fashioned into pendulum lamps introduces the DIY nature of creating a space that is one-of-a-kind. From the approach to arriving beneath the protective cover, these creative arbors are meant to play a central role in the most rewarding moments of enjoying your home and garden. 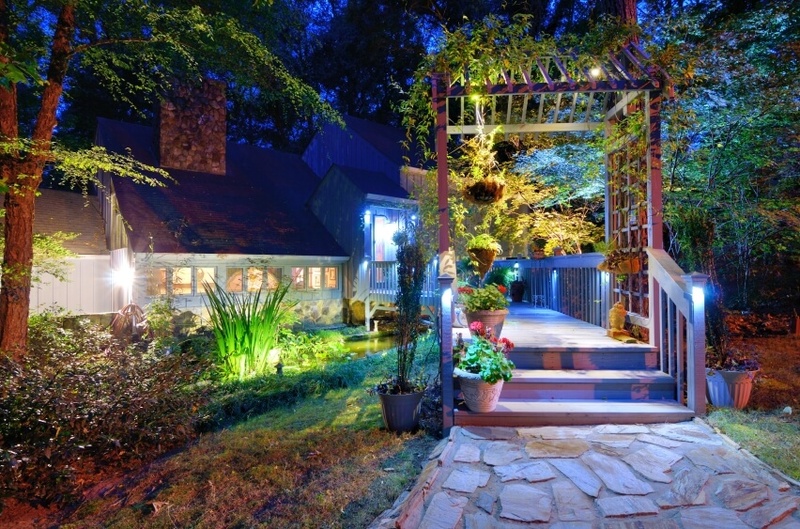 The lighting may accent the character of both landscaping and hardscaping, depending upon your plans. The almost fable-like nature of pergola living spaces present the opportunity to indulge your imagination in perfecting a compelling atmosphere. The pergola creates a whimsical entrance and exit that beckons visitors to return to enjoy more charming moments. In environments where the concern for rain calls for either a temporary or permanent covering on the pergola, there are even greater opportunities to enhance the living space. Sconces, while typically attached to a wall, are easily included inside the pergola space attached to the columns or posts. Attach a sconce to each post, whether four or more. This is lighting that has been with us going back before there was electricity, and styles are so numerous as to allow for any theme or touch of character you want to convey. Even the simplest superstructures can be adorned with strands of light and garland to create a romantic spot. The specialness of the space need not be grand or expansive. The pergola simply provides the central location on which to focus your ideas for developing the mood or atmosphere that draws interest and the desire to stay awhile. Nature is possibly the most compelling element in this design scheme. For some who have come to enjoy their covered outdoor space for events, the design of the pergola may include such plans for use that may include weddings, birthdays, anniversaries, retirements, or other major life events. Think of the opportunities this garden spot provides to be the home where the team celebrates the win or that group meeting wants to share their entrepreneurial meetings to really make an impression. Once you get started, it is easy to see how versatile pergola lighting can be. Plans to accommodate all events increases the property value while providing for meaningful life experiences at home.